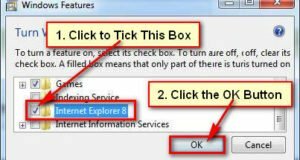 Delete a file or folder in windows 7. Sometimes you need to delete unnecessary files of folders from windows 7. Computer new users can’t delete filer or folders from their computer. 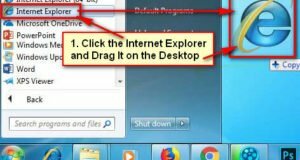 Learn how to delete files or folders from your computer. Click up to folder which folder are you want to delete. Click Delete button from your keyboard. Delete Folder dialog box will open. Click Yes button to delete this folder. After that you will not see your recently deleted folder on your desktop. 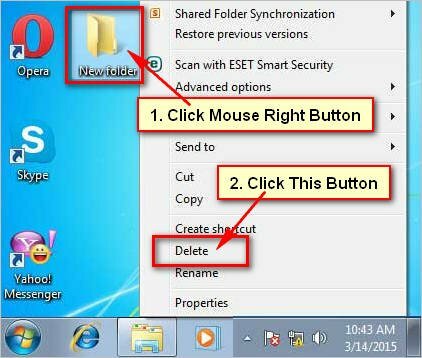 Click mouse right button up to specific folder which folder are you want to delete. You will few options then click Delete button from this lists. Delete Folder dialog box will open with two buttons. 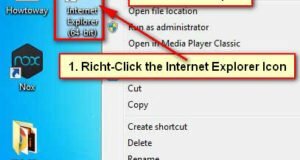 Click Yes button to delete this folder from your windows 7 desktop. You will not see recently deleted folder on your desktop. 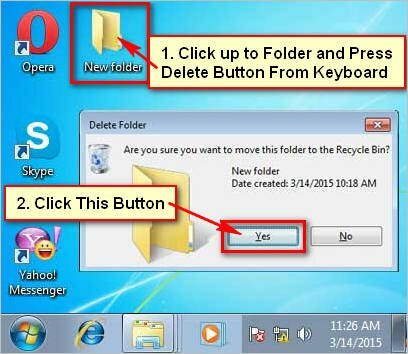 Using this way you can delete any folder from windows 7 desktop.